1m, 6spst, tr. Man: (all divided) 8.8.4.4.2. Ped:8. The specification below is taken from 1986 OHTA Conference booklet. Rosenthal began as a group settlement. Seven families settled in the area after arriving in December 1849. 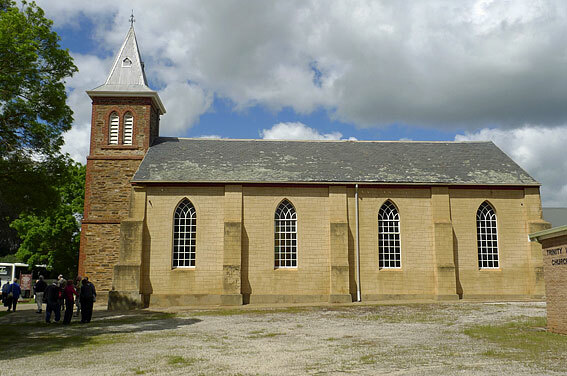 Schooling began in 1851, and the church of St Martin, now known as Trinity, was dedicated in 1860. 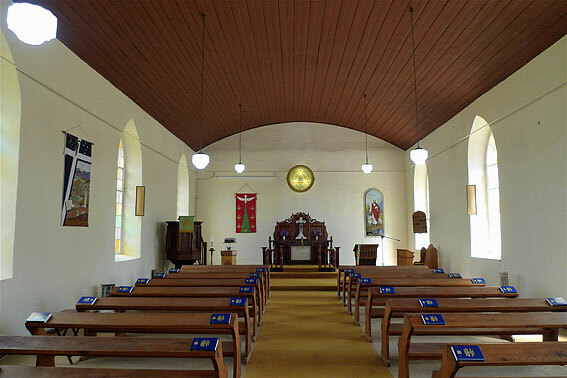 Division soon after led to the formation of a second church, St John’s, that was to coexist for the next 40 years. 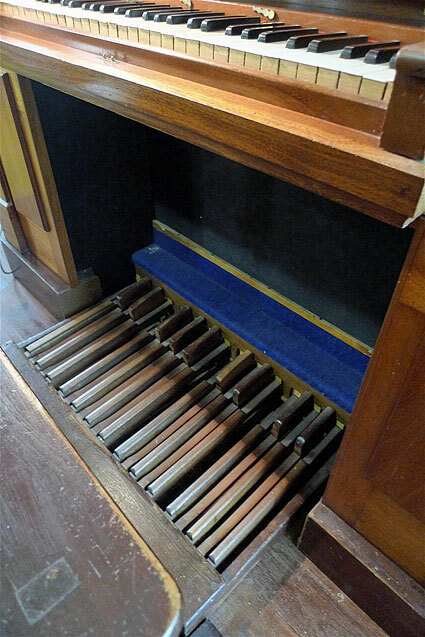 It is not known whether St John’s had a pipe organ but St Martin’s acquired its organ in 1890. For some time there was uncertainty as to its provenance and an inscription on one of the pipes provides a conundrum yet to be resolved. Two years after the settlement of Hoffnungstahl in 1847, the first settlers arrived at Rosenthal. Emigration agent Edward Delius had gathered a large group from the Kingdom of Saxony who arrived on the Alfred on 6 December 1848. Among them was a group from the Wendish area, called Upper Lusatia, who took up land in the hundred of Barossa calling it Rosenthal, meaning Rose Valley. 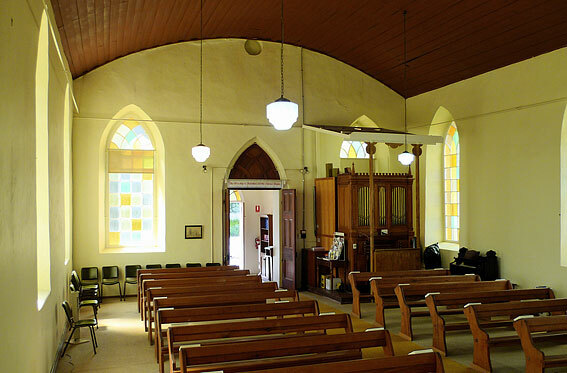 Seven heads of families erected a place of worship and schooling with pastor H.A.E. Meyer, of Bethanien, as their pastor. Most were to emigrate to Western Victoria in the 1850s, but many others took up land in the vicinity and by 1855 there were at least 66 families in the area. They joined with Hoffnungstahl in calling Pastor Oster as their pastor. 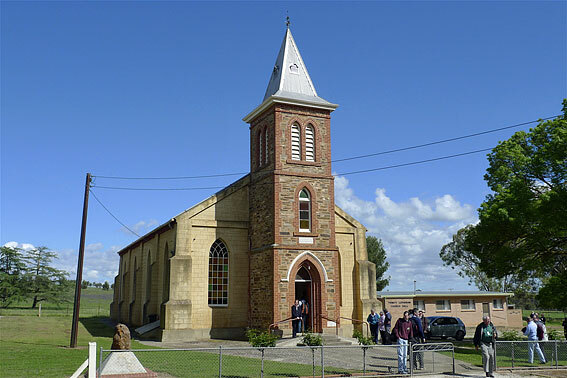 The foundation stone of St Martin’s was laid on 31 October 1859 and Oster remained with the congregation until his death in 1897. The tower and bell for the church were dedicated on 3 July 1910. 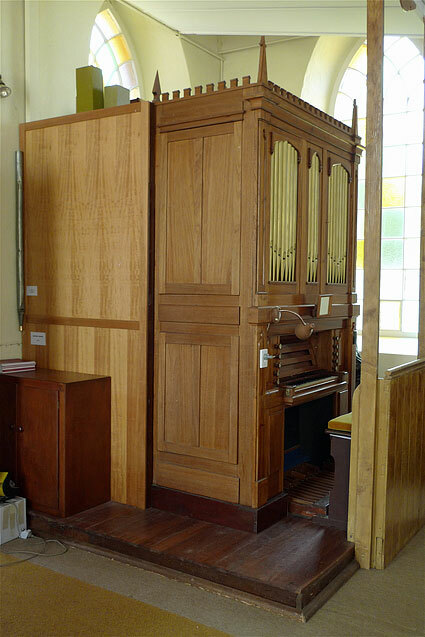 No mention of the organ was made at his time.1 However, it is known that it was acquired by September 1890. 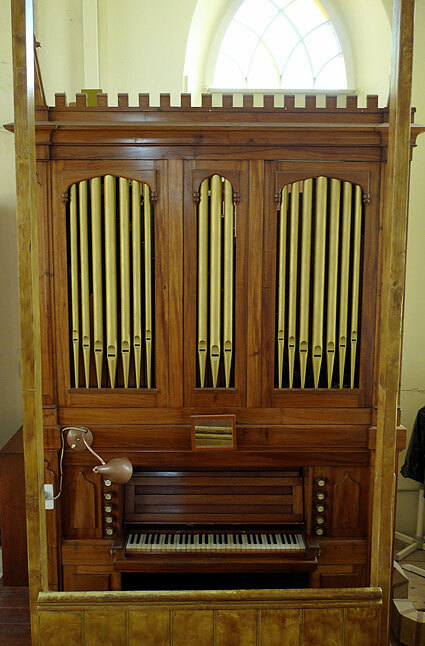 It was dedicated on 15 September 1890 and was made by C. Lohrmann, of North Adelaide.2 Simon Carl Lohrmann, a carpenter, was aged 76 at this time and it is postulated the organ came from within the family. He had three sons, Moritz, George, and Charles. 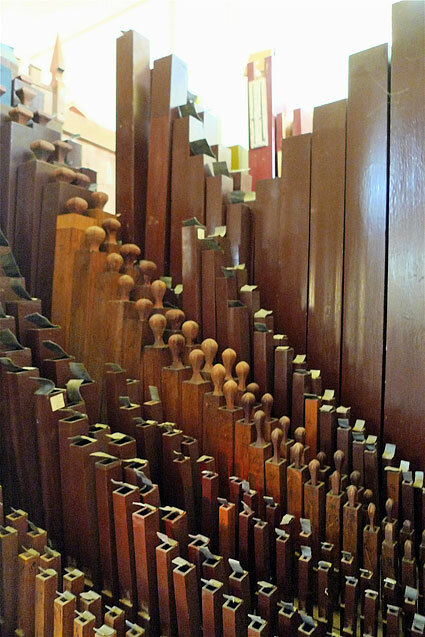 Although Lohrmann was involved with pipe organs there is little evidence he was commercially successful in their manufacture. Lohrmann’s wife died in 1878 aged 73. She was nine years his senior. While actual family relationships are unknown, without her support or, seemingly, that of his children, Lohrmann was to die in penury. He was to get behind in his mortgage payments to the Bank and was unceremoniously evicted from his house, to end his days in the Home for the Destitute, in 1898. Maurice had died two years previously from cancer of the throat while visiting his father in the Home. 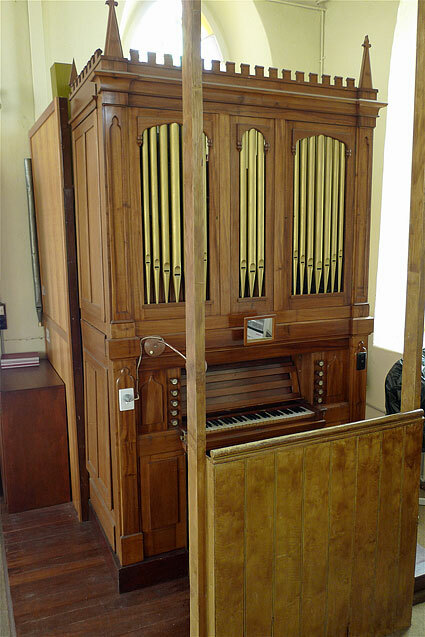 It is assumed at this point that the organ now at Rosedale was in the home of either of the remaining two sons, Carl Theodore, a storekeeper and auctioneer at Yorketown, or George Ludwig, clerk of the Freeling Council. 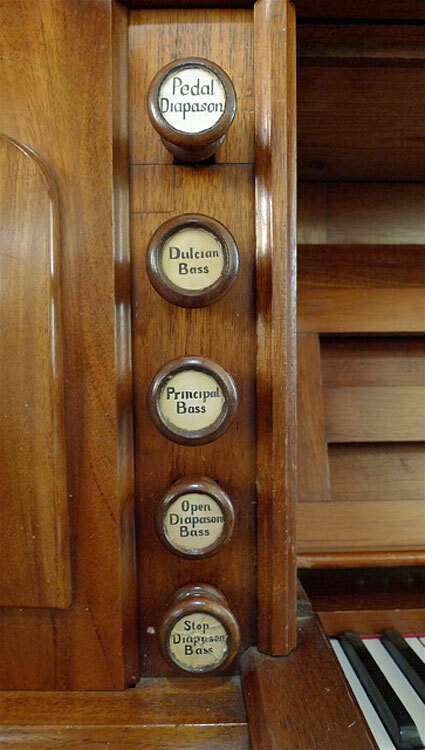 An interesting inscription is to be found on the CC pipe of the Diapason rank of the organ at Rosedale. 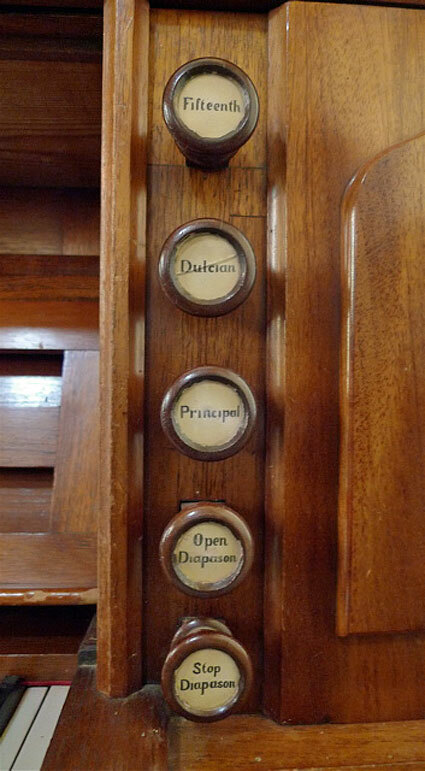 This reads: “Repariet February 15, 1889 von J. Clement, Hamburg, Orgelbauer”.7 This has led to the proposition that the organ was probably in Germany at the time. An alternate view is that J. Clement from Hamburg was actually in South Australia. A review of various genealogical sources for the time is inconclusive. There was a J[ohn] Clement listed as a saddler at Bassett Town near Gawler in 1883 and Yorketown in 1886. Edward Clement was the name for the miller at Stockwell from 1854 and also that of the chaff merchant and later Mayor of Gawler. 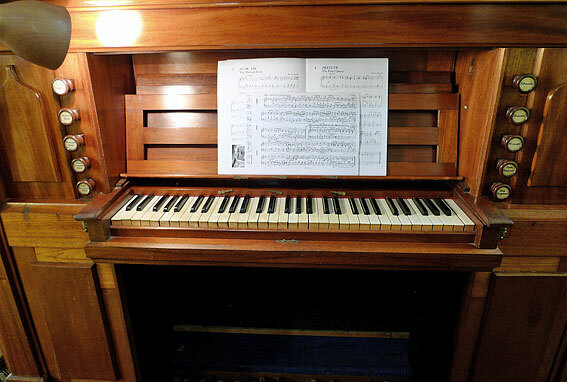 Any connections to the organ have yet to be made though it is noted that Lohrmann’s son Carl, and John Clement both lived in the same area, and the article referring to the organ’s dedication indicates C. Lohrmann rather than S.C. Lohrmann.